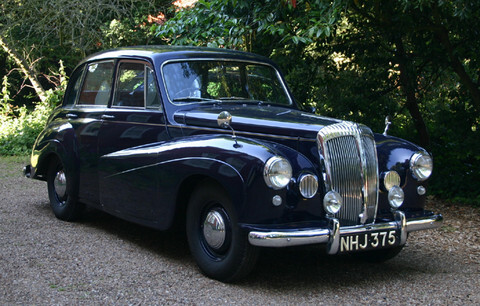 Daimler replaced its elderly Consort model with an all new model, the Conquest, in 1953. 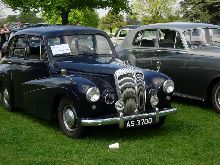 The new Conquest had a shorter overall length and consequently less weight than the old Consort and was of a more modern design, finally leaving the pre-war styling cues behind. In 1954 a more powerful Conquest Century was also added to the range, boosting the otherwise dull image. 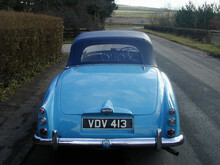 The Conquest Century had an alloy cylinder head with larger valves and twin carburettors which helped increase power to 100bhp, a marked improvement to the standard cars 75bhp. 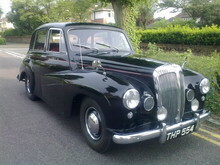 Overall the new Daimler had a strange mixture of sporting performance and traditional qualities which included the compulsory wood and leather interior along with the famous, upright Daimler grille. 8' 8" 4' 4" 14' 10" 5' 6" 0 (27) 0' 0"